The absence of proper statistics contributes to the confusion and lack of clarity on the issue. For example, the South African Institute of Race Relations (SAIRR), using statistics inter alia from the Transvaal Agricultural Union of South Africa (TAUSA), concluded in a press statement on 5 October 2012 that farmers were not uniquely vulnerable to armed attacks when compared to the general population. However, a week later on 11 October, the SAIRR announced that on the basis of new information received it was prepared to concede that farmers (exclusive of their families and workers) were ‘twice as likely’ to be murdered in South Africa than ordinary citizens. Back in 1997 the South African Government used to believe that farmers were ‘uniquely’ targeted for violent and murderous attacks. Given that farms play a crucial role in ensuring the country’s food security, in 1997 the Minister of Safety and Security, Sydney Mufamadi, called for a joint task team comprising members of the South African Police Service (SAPS), the South African National Defence Force (SANDF) and organised agriculture to develop a plan to improve security on farms. This resulted in what became known as the Rural Protection Plan (RPP) in the same year. In 1999 a Joint Operational and Intelligence Structure (JOINTS) Priority Committee on Rural Safety chaired by a senior police officer with the rank of Major General was established to ensure that rural safety was managed as a national security priority. The seriousness of the situation caused the SAPS to include figures for farm attacks and murders in its annual reports from 2001/02 to 2006/07. Then President Thabo Mbeki, without any consultation or prior warning, announced the closing down of the ‘commandos’, the cornerstone of the RPP. He stated that the SAPS would replace the commandos with an alternative system consisting of police reservists, crime combating units and sector policing. The SAPS in its annual reports after 2006/07 stopped reporting on farm attacks and murders and a new Rural Safety Strategy (RSS) was adopted in 2011. The RSS is not focused on the security of farms, but is aimed at rural security in general. In essence this means that the government no longer regards farm security as a priority. According to the SAPS’ annual reports for the period between 2001/02 and 2006/07, attacks declined by 40% from 1 069 in 2001/02 to 636 in 2005/06. However, in 2006/07, the last year that the SAPS published this information, the number of farm attacks increased by almost 25% to 794 cases, resulting in 86 murders. Since then the only available database on farm attacks and murders is kept by TAUSA, although it does not have the capacity or capability to monitor the situation as extensively as the SAPS had done. This is because TAUSA is not informed of attacks on smallholdings, where up to 40% of attacks classified as ‘farm attacks’ occur. So, for example, in 2007 TAUSA recorded 94 attacks and 60 murders, while the SAPS recorded 794 attacks and 86 murders across the country. However commendable its efforts, the inability of TAUSA to capture the full extent of attacks on farms and smallholdings means that it is probably under-reporting on a situation that is worse than its figures suggest. 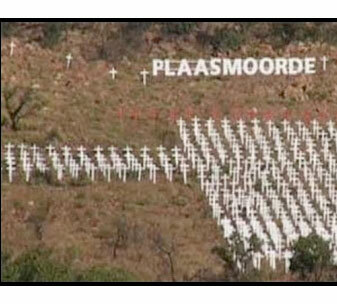 According to TAUSA’s figures for the period 2008 to September 2012, there were 634 farm attacks resulting in 306 murders. This amounts to an average of one murder during every second attack. This compares badly to urban residential robberies where there is one murder in every two hundred attacks, on average. The seriousness of farm murders becomes particularly apparent when one compares the murder rate of farmers to that of all South Africans. According to Statistics South Africa’s Census of Commercial Agriculture, there were 32 375 commercial farmers (i.e. people running farming operations either full-time or part-time) in South Africa in 2007, but this number is dropping. According to Pieter Mulder, the deputy minister for agriculture, the number of commercial farmers has declined by more than 50% since 1996. ABSA’s head of agribusiness, Ernst Janovsky, predicts that commercial farmer numbers will decline to 15 000 individuals over the next fifteen years, causing significant job losses in rural areas. Using the latest available figures from 2007, the murder of 32 farmers (exclusive of their families and workers) in 2011 provides a murder ratio of 98,8 killings per 100 000. This is over three times higher than South Africa’s national average of 30,9 murders per 100 000 in that year and 14 times the global average of 6,9 murders per 100 000. South African farmers are almost twice as likely to be murdered as police officials, where a ratio of 51 murders per 100 000 was recorded during 2011/12. This was enough of a concern for the Minister of Police to host a national summit on police killings in July 2011, which resulted in a ‘Ten Point Implementation Plan’ to address this problem. So why are the murders of farmers not being prioritised by the government? There is already a crisis in commercial agriculture and these attacks are making it worse. If this situation continues it will have a very negative impact on the rural economy and South Africa’s food security. It is crucially important for government to prioritise the security of our farming community and to resume the monitoring and reporting of these attacks and murders. We will all be worse off if the government continues to ignore this pressing problem.